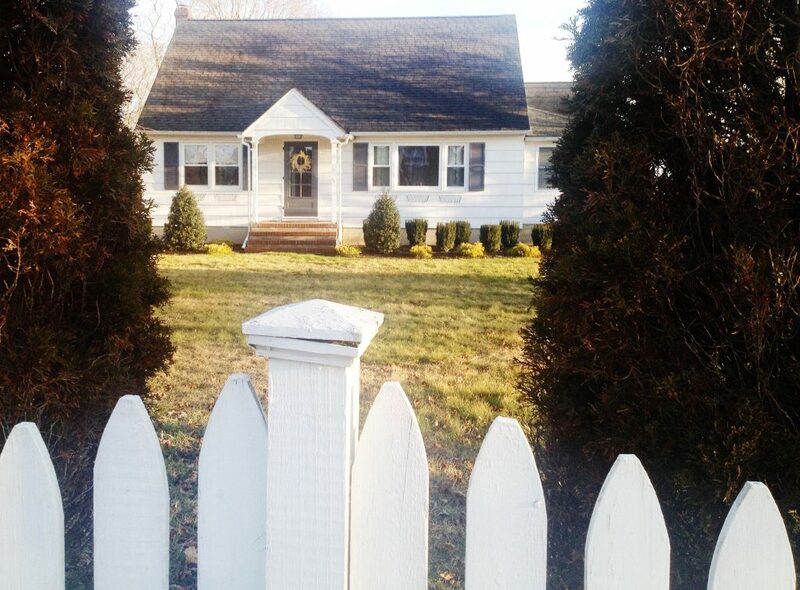 Inside: Want to carry that farmhouse theme over to your child’s birthday party? And do it on a budget? We can help! 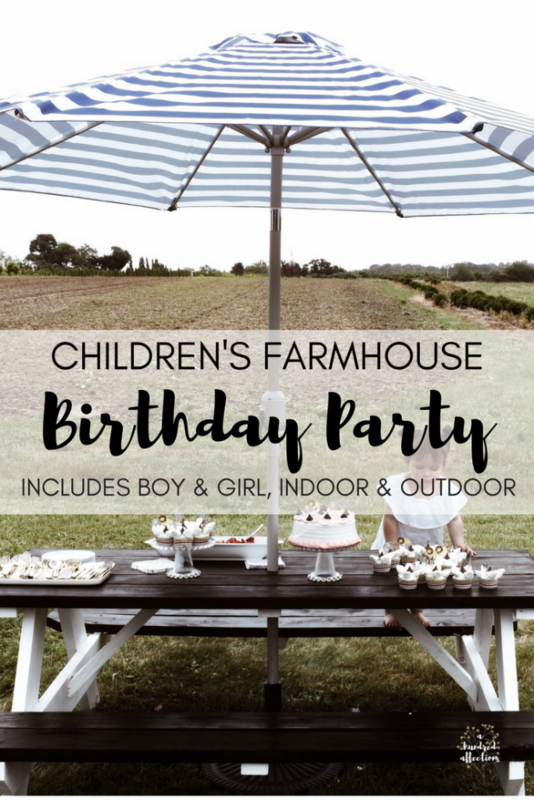 We are showcasing examples of both a girl and boy birthday party as well as an indoor and outdoor party – all in a farmhouse theme! 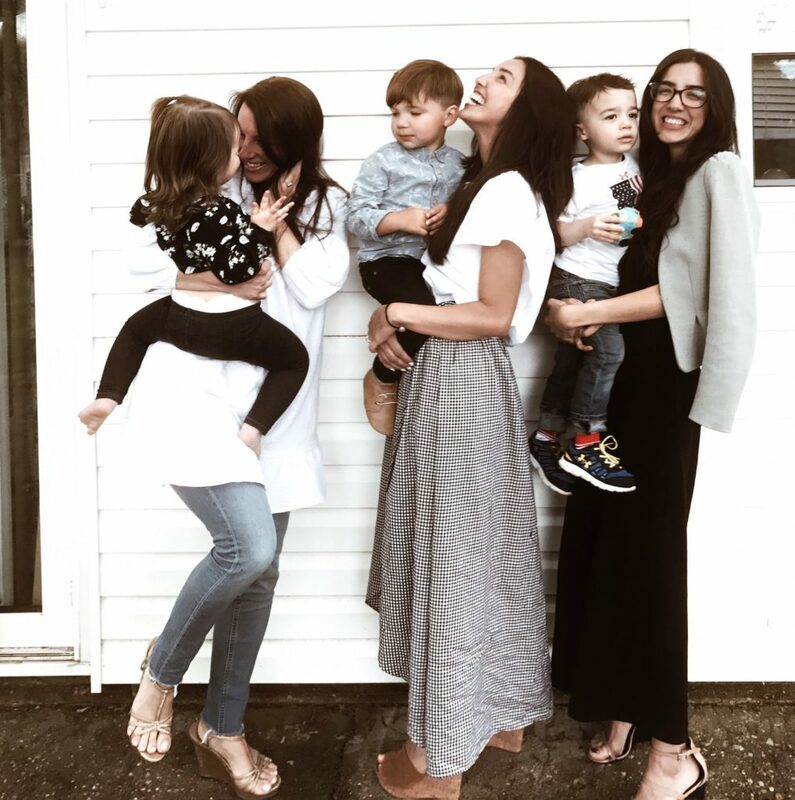 I’m so excited to have my good friend Gina and her sister Alissa with me today sharing how they pulled off farmhouse birthday parties on a budget for each of their children! Here’s Gina, Alissa, and their other sister Kerri. I met Gina about 12 years ago through a mutual friend (it was actually Gina and her husband who introduced us to The Office in Season 1! A million thanks!). 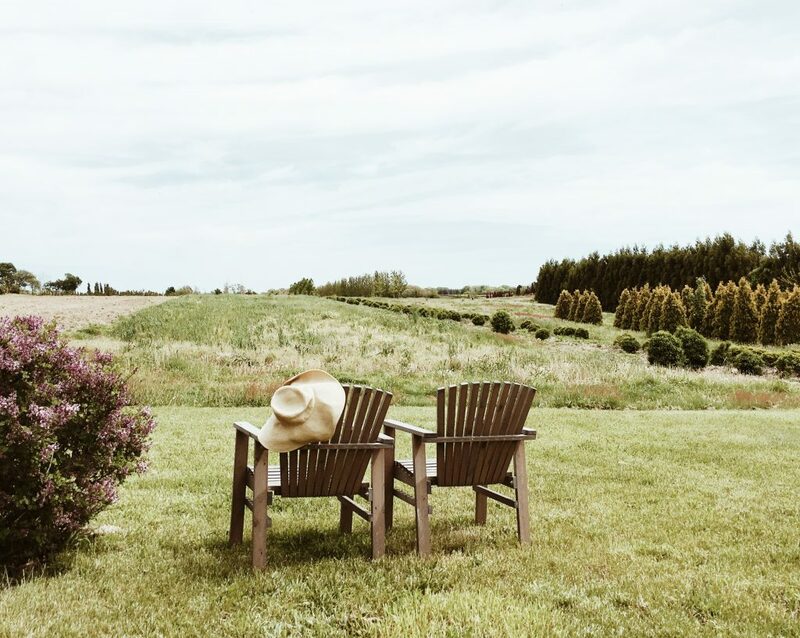 Several years ago, Gina bought a farmhouse on the picturesque North Fork of Long Island. 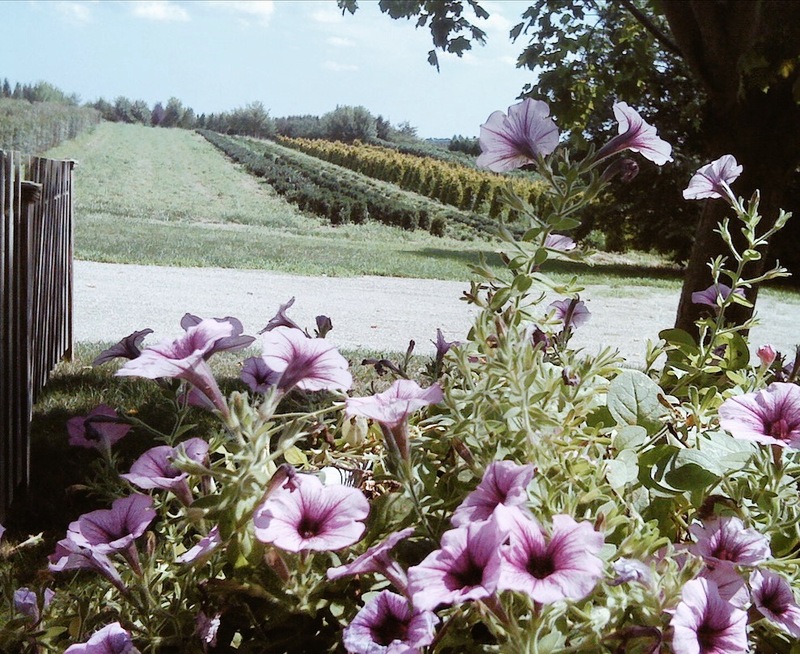 Not only did Gina carry out the farmhouse theme inside her house, her backyard is an actual farm! How gorgeous is this??? Gina and I lost touch for a few years after I got married and she had her first daughter, but we ran into each other at the blood lab. It was right after I had the twins, and she was just about to pop with her 2nd baby! Gina is “that friend” where, even though we lose touch for a bit, we pretty much pick up mid-sentence, right where we left off. 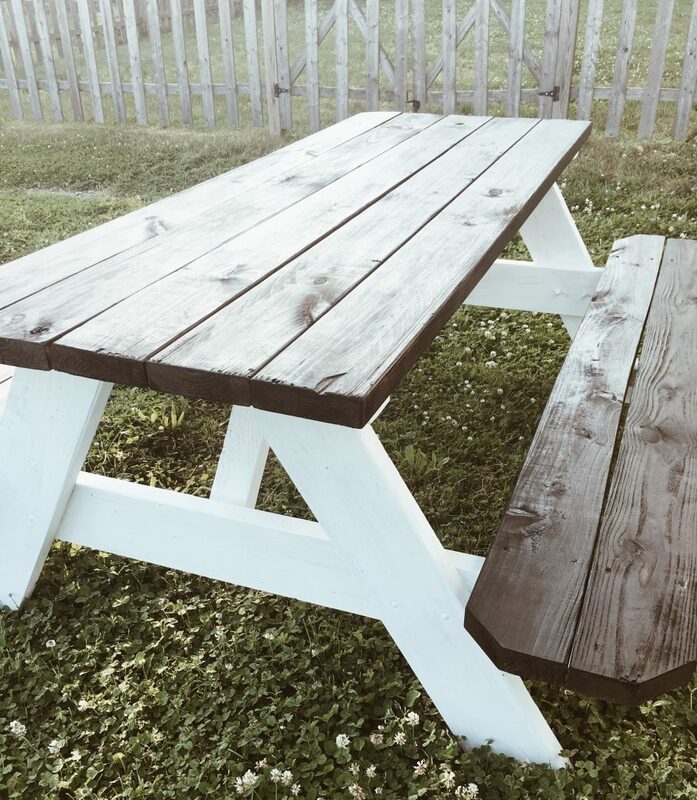 Gina bought an unassembled wood table kit for $90 on sale at Lowe’s and had it put together for $10. Then she found some white paint and dark walnut stain in the garage, and just like that – her $800 Pottery Barn crush was recreated for $100! 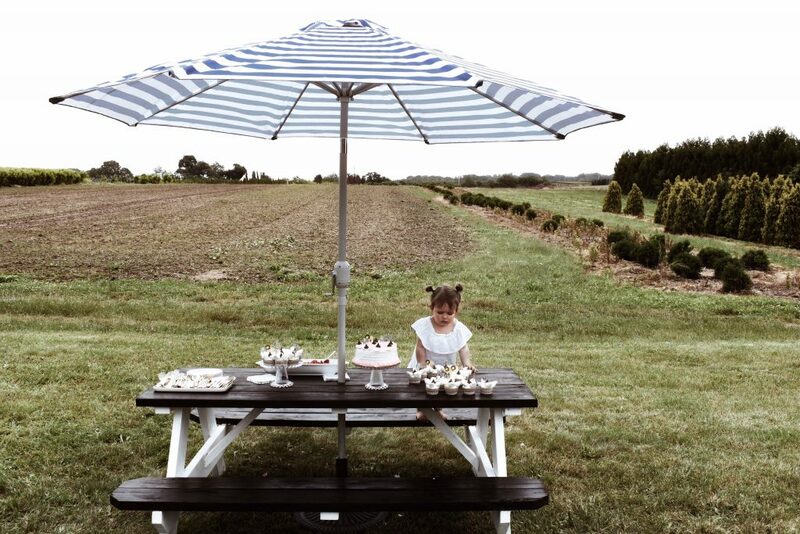 All she had to do was drill the hole for the nautical white-and-navy-striped umbrella for Ella’s party! Gina bought a simple, budget-friendly cake from the store and then decorated it with swirls of pink icing, chocolate kisses, and adorable cupcake animal toppers. Then, Gina baked cupcakes and cut marshmallows on a diagonal to make a flowers to put on top. She finished them off with a chocolate kiss and animal topper in center, and then shaped the cupcakes into the # 2. The dessert table included cake, cupcakes, and fresh strawberries – all for under $30! 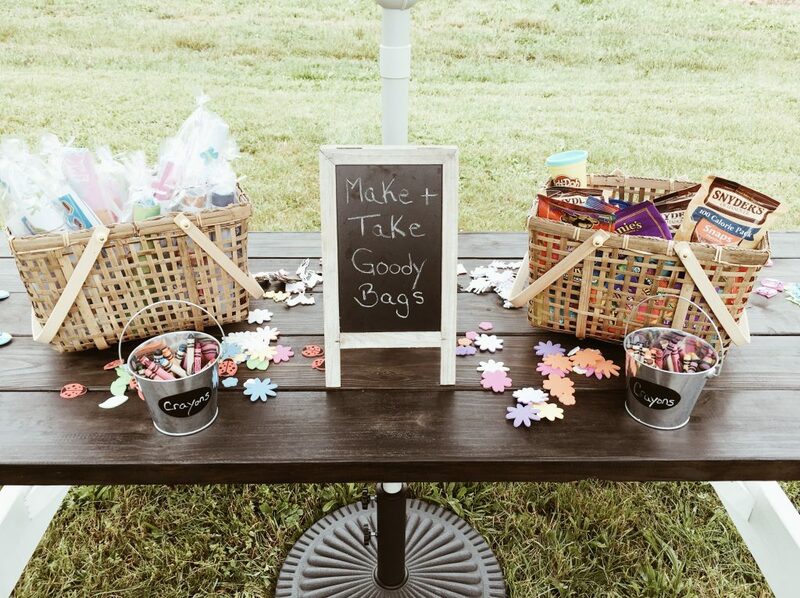 The Make-and-Take Goody Bags were a children’s activity and favor all in one! Gina laid out brown paper bags for the children to decorate and then fill with their favorite treats. She used Mini Snack Packs, individual coloring treat bags including a page from a coloring book, crayons and stickers, Play Doh and granola bars. Bubbles and more bubbles! 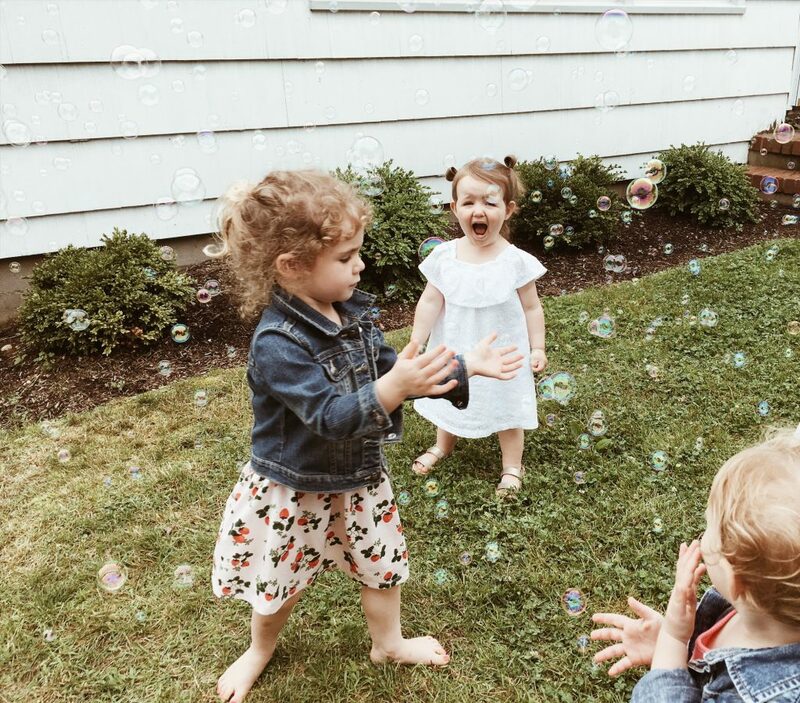 Gina bought a bubble machine (and recommends buying a huge bubble refill), and it was worth every penny! She put some music on along with the bubbles, and the kiddies turned into happy little dancers. Seriously, bubbles make everything magical! Gina also purchased a blow-up pool and filled with soft plastic balls – perfect for a safe, 2-yr-old ball pit! She also set up a kid’s tent as an ice cream shop that the kids could play in! And here’s Ella – these whimsical, numbered helium balloons are perfect for pictures, and the kids go crazy over them! 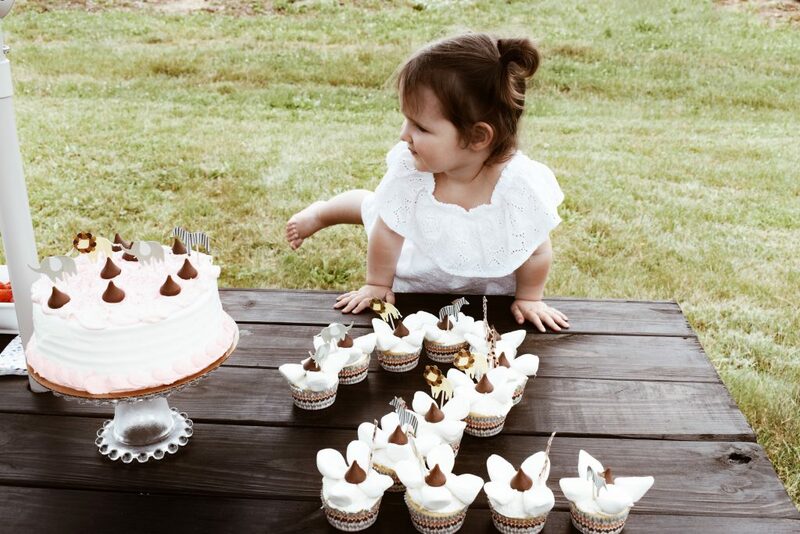 This little-girl outdoor farmhouse birthday party was 2.5 hours long and a huge success! It was the perfect amount of time. 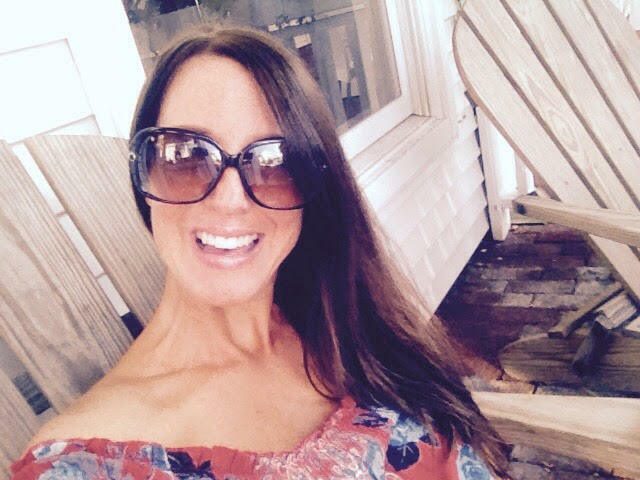 Gina started the party at 11 am to make sure the kiddies would be ready to party, then ready for nap time! 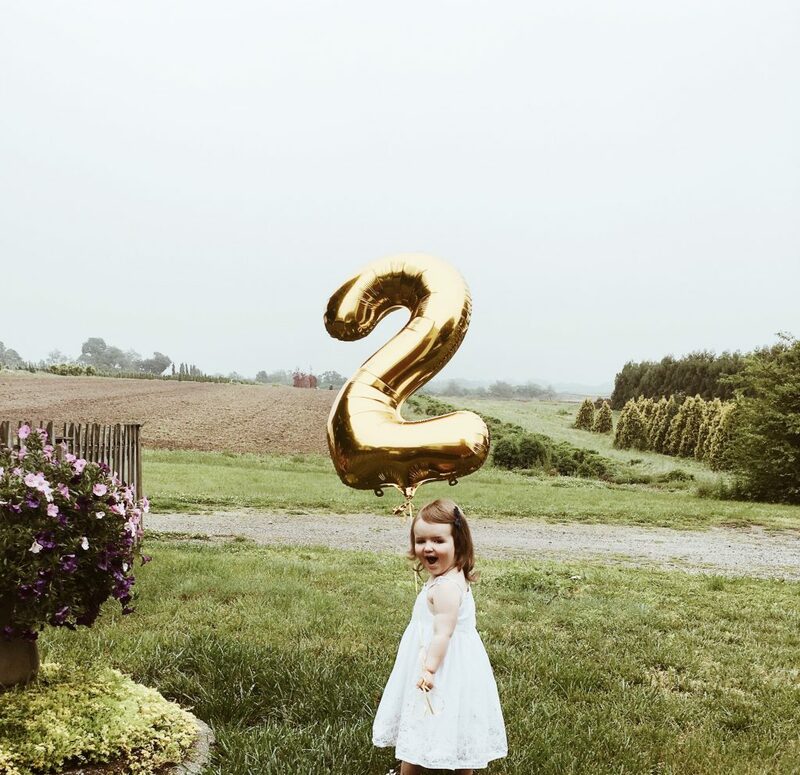 Alissa’s son John also turned 2 – making him just months older than his cousin Ella. 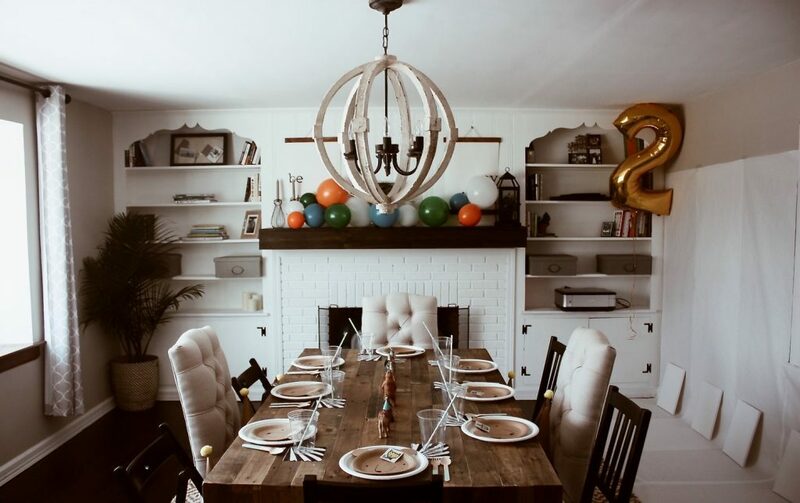 John’s party was in February during the winter, so here’s how Alissa pulled off an indoor farmhouse birthday party! As Alissa opted for small family party for John’s birthday #2, she decided to keep it simple with minimal decorations. 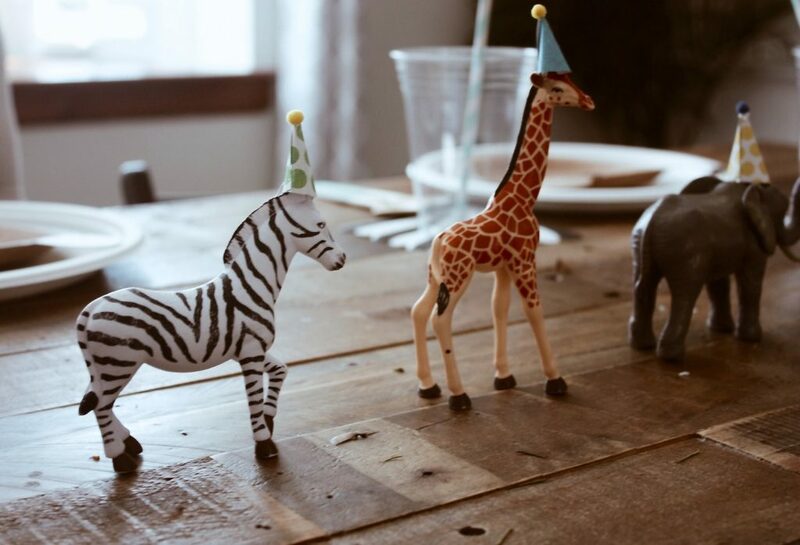 They consisted of animals that she already owned (you can get something similar like these plastic animals), adorable party hats, and balloons! 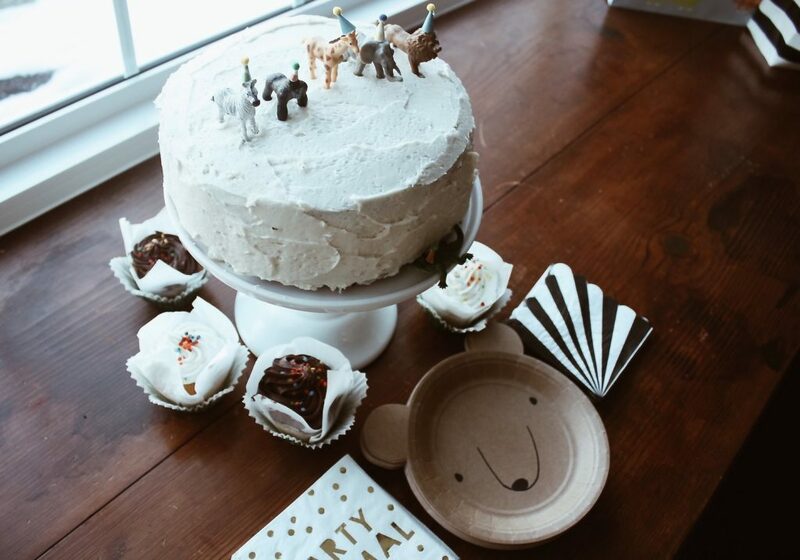 The tiny party hats for the animals were a super-creative touch! Alissa said they were a bit of a project, lol, but here’s what you need if you’re willing to go for it! 1. Paper pad – this paper pack is works perfectly. 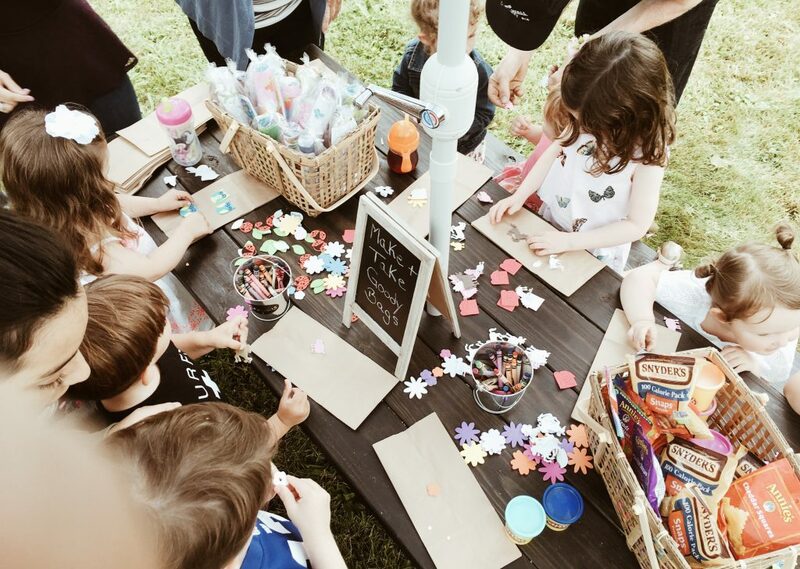 For activities, Alissa had cute tattoos from Wee Gallery, a piñata, and painting stations for each kiddo to paint at! 4. 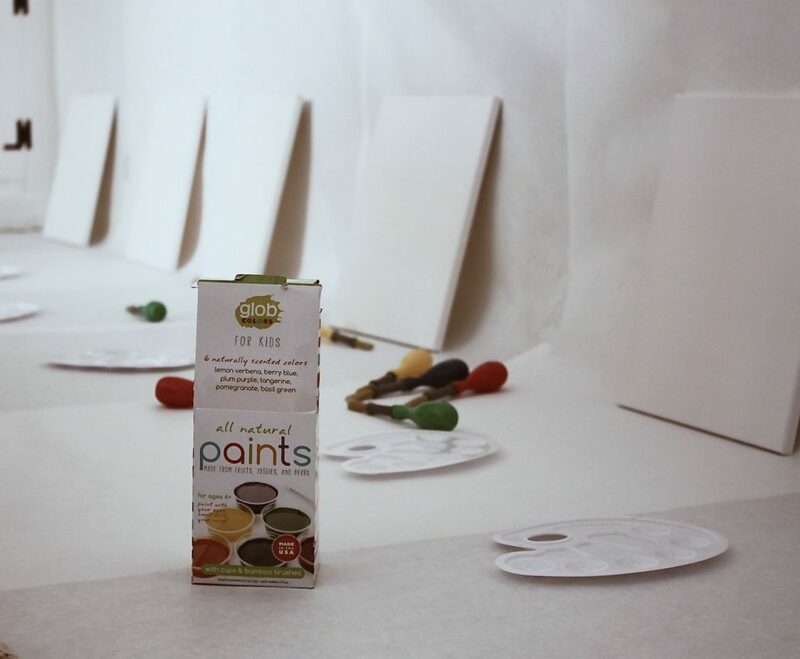 Natural Paint (she ended up not having enough time to mix-up these paints – easy to lose track of time at a toddler party!) Instead, she used Crayola Washable Paint. 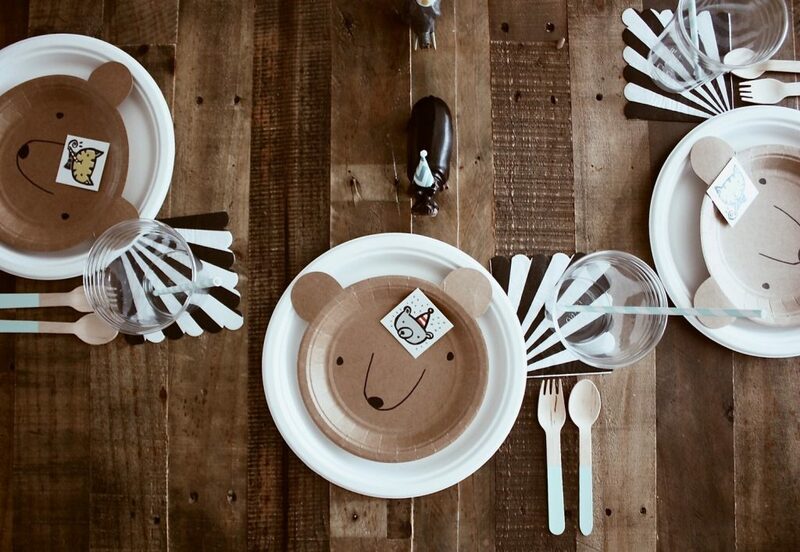 To go along with the animal theme, Alissa used these bear plates, napkins, and utensils, all available from Etsy CrankyCakesShop. Alissa made her own birthday cake and icing for John from Good Housekeeping’s Best Chocolate Cake and Betty Crocker’s Vanilla Buttercream Frosting. 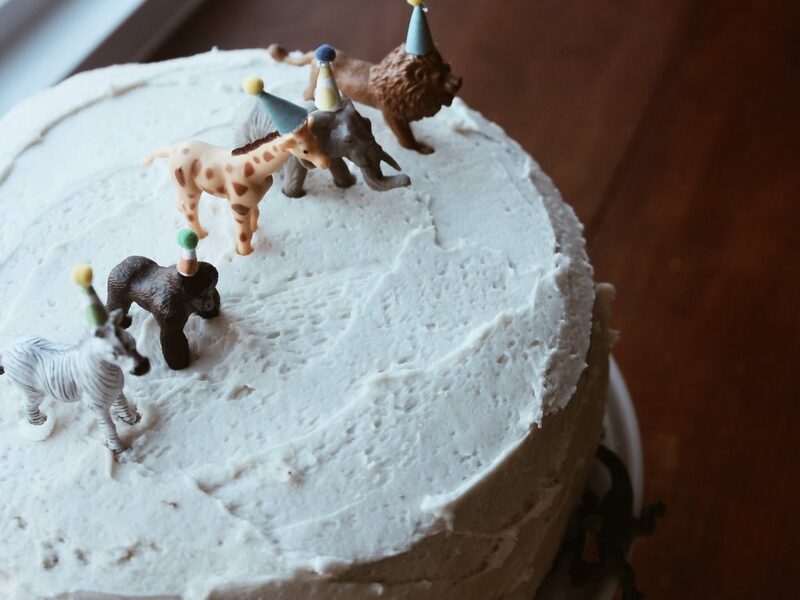 She used more of the same tiny animals that were table decorations as cake toppers. The cupcakes came from her local bakery. Gina and Alissa did such a great job! They can help me party-plan any time! 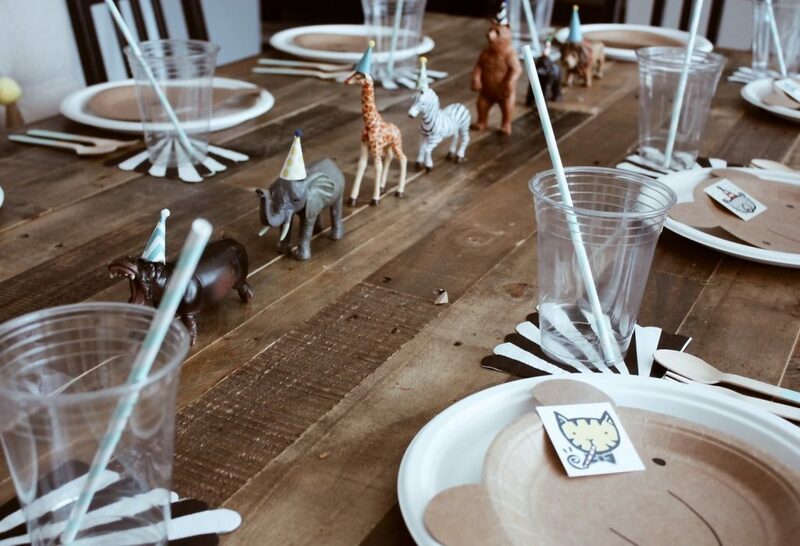 Throwing your little one a birthday party doesn’t have to break your budget. 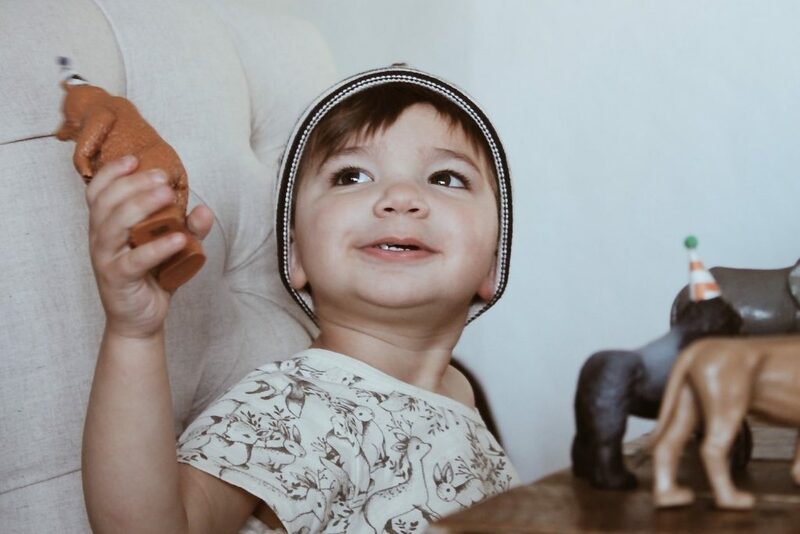 The farmhouse theme is perfect for toddlers, and there is no reason to go extreme! Too much can be really over-stimulating for them (and expensive for you!). With children, simple is best. They are so easily – and cheaply – entertained! 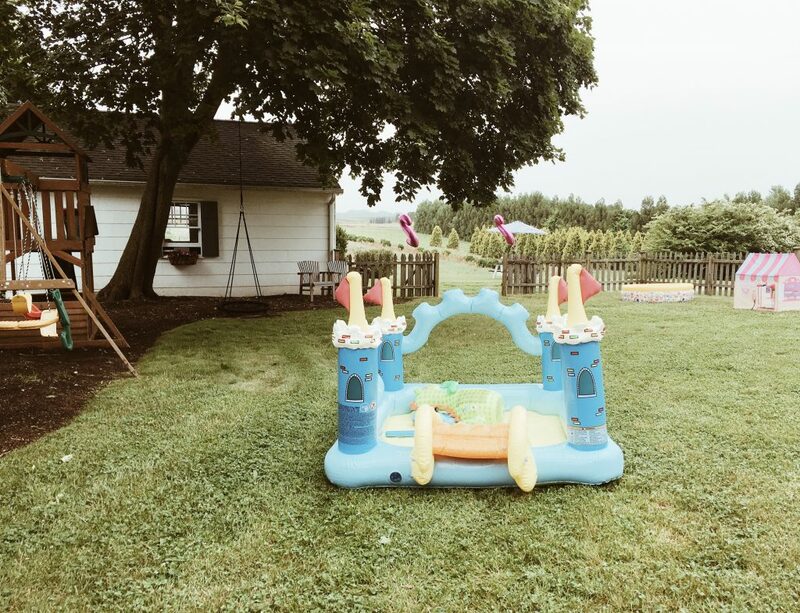 Many thanks to Gina and Alissa for sharing their children’s farmhouse birthday parties with us – and how to do it on a budget! 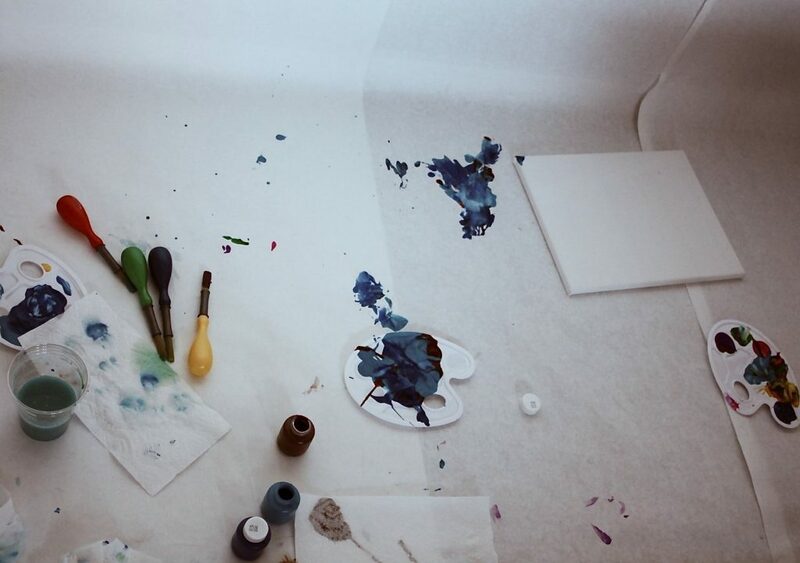 For more inspiration from Gina and Alissa, follow them on Instagram: ginacataniadesigns and aliscataldo. Their pictures are gorgeous! 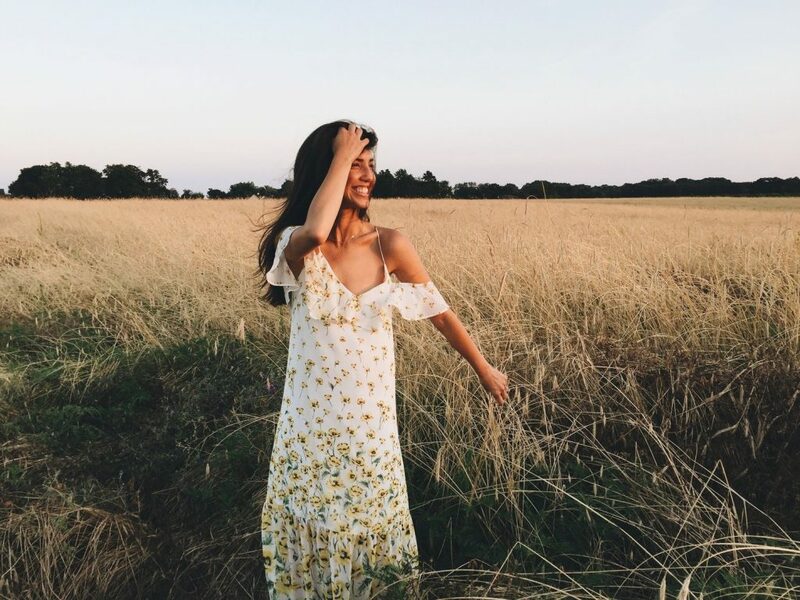 You can also follow Alissa’s blog Think in Couture. So cute!!! I love the mini animals. The great things about kids is they just want to celebrate with friends. They dont care how fancy and expensive the party is.